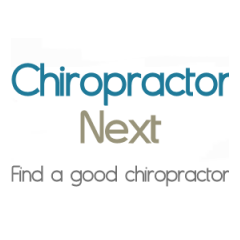 Chiropractic care is standard for many pro golfers and increasingly for many Senior Golfers as well. Professional golfer Lori West attributes the reason she’s playing today to chiropractic. Nearly two decades ago, she began visiting a chiropractor for pain in her shoulders and neck. According to West, the care has infinitely improved her golf game. The problem is that the golf swing, in and of itself, isn’t conducive to having a healthy back. To have a good swing you create tension in your spine. (This enables you to get good distance). The tension comes from the hips stopping and the shoulders continuing to rotate. Basically, you make a coil. You’re uncoiling when you start your downswing. Since that’s an awkward movement for your back, many golfers end up with lower back problems. • Before your game, do some basic stretches. Stretch out hamstrings and groin area. • Put a club across your shoulders and lean left and right. • Get in a position of where you would be in a swing and bend left and right. • Grab a club behind your back and raise it up, stretching your shoulder muscles. • Grab the club backwards – so if you normally swing right-handed, you’d grab it like you’d be swinging left-handed- and take lo practice swings that way. You’re stretching different muscles and it will help you loosen up considerably. • Do neck stretches. Stiff neck muscles inhibit the rest of the body from turning freely. Anything that helps your flexibility eventually helps with your game. As you get older, your swing naturally shortens since the muscles aren’t as supple. During the winter, work on stretching the muscles of the arms, shoulders and back. Flexibility is very important for older golfers.